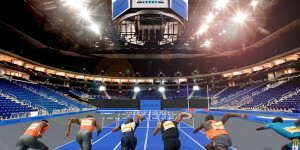 For the second year in a row the IAAF World Indoor Tour, the series of indoor commpetition which will involve 5 world cities between January and February 2017, will take place. The first city to host the tour will be Boston, on the 28th of January, then the competitions will move to Germany from the 1st to the 4th of February, in Dusseldorf first, and then in Karlsruhe. The athletes will then move to Torun, in Poland, on the 10th of February and the World Indoor Tour will eventually finish in Birminghan, on the 18th of February. The cities of Torun and Dusseldorf represent the new entries from last year.